Children’s beginner classes start at the Memorial Hall at 5:30 to 6:30 on Wednesdays from January 18 2017. 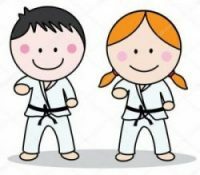 Please register your child through the All Anglia Karate Association website (www.aaka.co.uk) if you would like to take advantage of our special offer of a free trial. For more information please contact Ian Warren on 07917 208916.